Every year flagships boast having improved various hardware and software specs majorly focusing on a few aspects including the camera. This year, Samsung Galaxy S5 pleased many of its consumers with the awesome ISOCELL sensor that improved the 16 megapixel camera with software tools to a greater extent. In a likely event, it is very much possible for Apple to offer an improved camera that beats its primary rivals like Galaxy S5 and the HTC One M8. That is the case every year anyway when a new iPhone almost always brings an improved camera. However, a new leak shows an exceedingly improved iPhone 6 camera as it reports that Apple is going for a new 13 megapixel Sony Exmor sensor. While it seems highly improbable for Apple to go for a 13 megapixel camera, earlier reports revealed that Apple would go for an 8 megapixel shooter keeping the iPhone 5s pixels with optical image stabilization module. This current leak shows that the iPhone 6 camera would be a 13 megapixel, 1/2.3″ Sony Exmor IMX220 sensor. 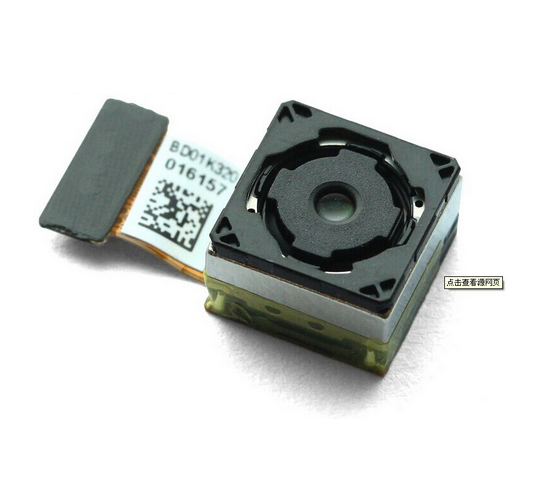 The iPhone 4s, iPhone 5, and iPhone 5s have all used Sony’s Exmor IMX145 sensors. The upcoming, eighth gen iPhone 6 will have a newer Sony unit IMX220. It is quite interesting, as the report mentions, that the same shooter will also be fitted in the Sony Xperia Z3, however, it will be a 20 megapixel camera sensor. Sony’s new Exmor iPhone 6 camera sensor is capable of recording 1080p videos. While Apple has been using Sony’s sensors, current source doesn’t have a perfect track record when it comes to Apple’s leaks and rumors. However, we always take every leak as a possibility. Apple has never focused entirely on increasing the megapixels as it has traditionally tried to improve both the hardware and software capabilities to give out better photography results.